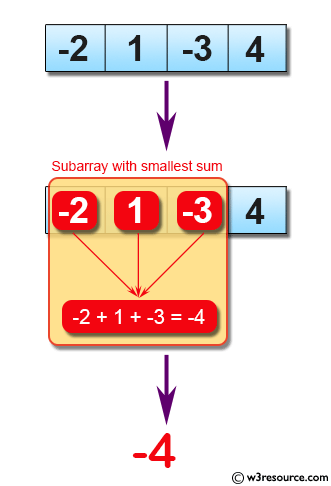 Java Exercises: Find the subarray with smallest sum from a given array of integers. 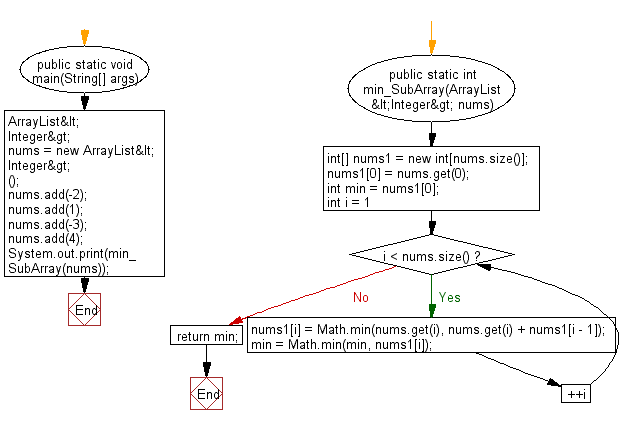 Write a Java program to find the subarray with smallest sum from a given array of integers. Previous: Write a Java program to find a contiguous subarray with largest sum from a given array of integers. Next: Write a Java program to find the index of a value in a sorted array. If the value does not find return the index where it would be if it were inserted in order.